Returned to RS today to search again for a .47uF cap. No luck. So I’m still at a standstill for C1. On the other hand, the input and output jacks arrived from Mouser today. It was a little tricky to get them completely into the board, but once I did I was impressed with how snugly they fit. I’m not sure they even really need to be soldered, through I suppose I will. My big box o’ parts from Jameco is set to arrive tomorrow, so I should be able to make significantly more progress then. Meanwhile, here’s the board, top and bottom, showing the jacks in their rightful position. Sorry for the blurry iPhone photos. By the way, since the part number wasn’t specified in the instructions, the jacks can be obtained from Mouser if you haven’t yet ordered yours. Part #568-NYS219. The manufacturer’s part number is the same, just remove the #568. Thanks to Kerry, Frankie and Olivier for chiming in. It would be good to know if anyone else encounters issues with the power supply. That the 18v isn’t working for either of you is a little worrisome. Olivier, are you going to post some sound samples somewhere? It’d be great to hear what you’ve come up with. I’m wondering if any slight variations in parts, etc. are going to significantly affect how our individual units sound. > .47uF cap. No luck. So I’m still at a standstill for C1. Two 0.22-uF caps in parallel will be nearly the same (0.44 uF). RS *might* have those. 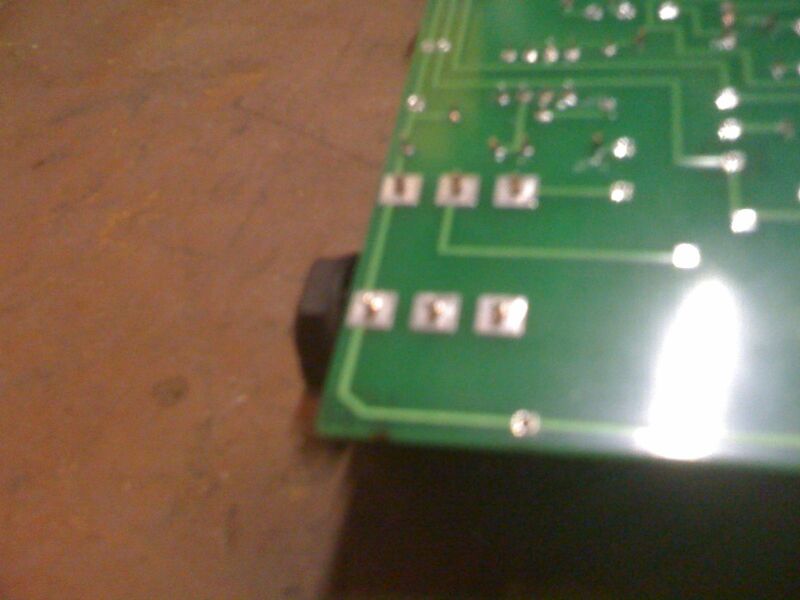 First solder them together (in parallel, not in series), and then solder the pair onto the board. 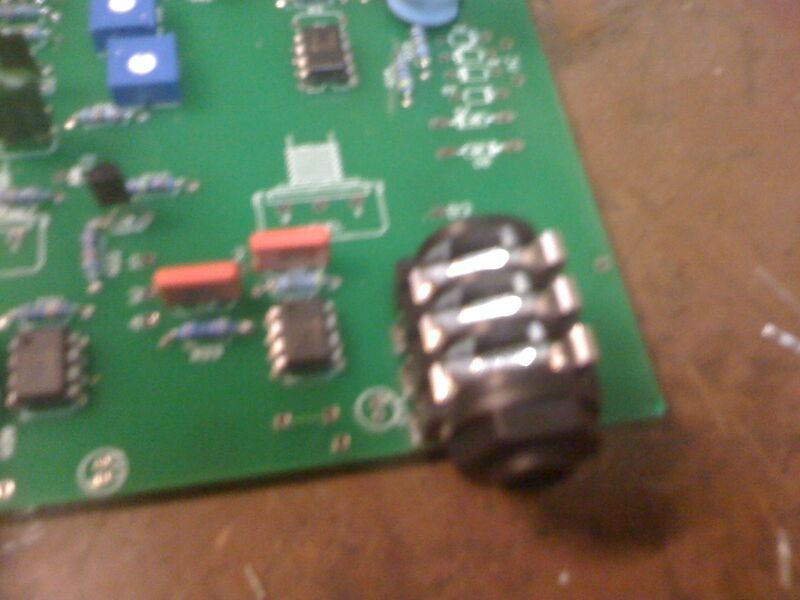 Mine is going into a modular synthesizer, and so I’m using two 9-volt linear voltage regulators on their own sub-board to convert from the synthesizer’s +/-15-volt supply to +/-9 volts. I will not be installing C10, D3-D8, and R33-R34. There’s a *chance* that my power-supply changes will affect the sound by making the power *too* clean. After I build the whole thing, I probably will need to tweak the signal levels to match those of the synthesizer by changing R21 and R24. My Mouser order shipped today, and so I’ll be building next week. Doh! Not in BOM. Forgot to order sockets.